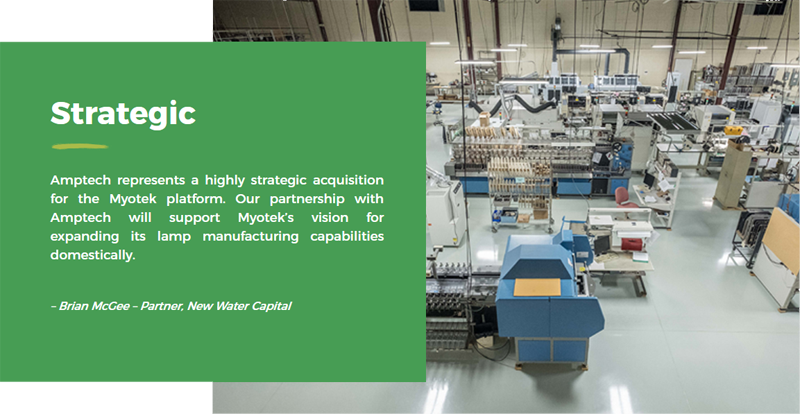 Private equity firm New Water Capital, L.P. announced that its portfolio company, Myotek, has acquired Amptech, Inc., a leading value-added manufacturer of electronics and electrical assemblies based in Manistee, Michigan. 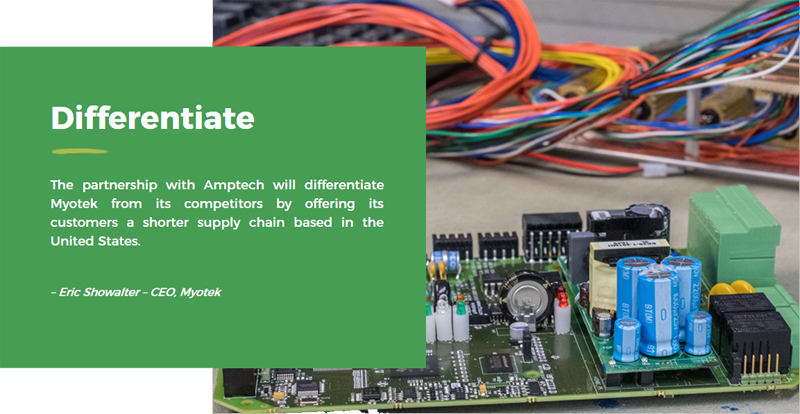 Founded in 1980, Amptech designs, engineers and manufactures circuit boards and other electronic assemblies for customers in automotive, utility and other industrial end markets and applications. The acquisition will allow Myotek to provide its customers with domestic production capabilities for its automotive lighting products. Amptech’s Lee Wyatt will continue to serve as president of the company. 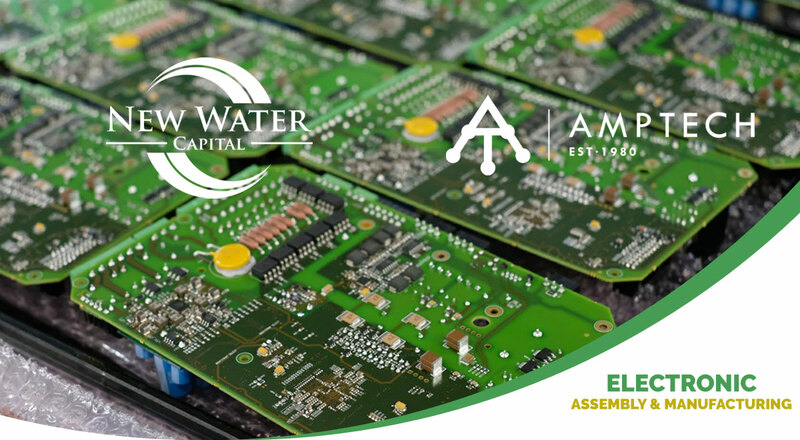 New Water views the addition of Amptech as a way to expand the capabilities of Myotek, a leading transportation LED lighting designer, manufacturer and supplier specializing in automotive forward lighting for several OEM automakers and other vehicle manufacturers. Myotek’s acquisition of Amptech will strengthen the company’s domestic manufacturing capabilities and allow the company to assemble lighting products across two continents. Plans are to expand existing Amptech manufacturing facilities in Michigan and Pennsylvania to accommodate customer demand. “We are excited that our partnership with New Water and Myotek will enable Amptech to grow, both in its historic core business segments as well as more deeply penetrate the automotive lighting end market,” said Amptech President Lee Wyatt. About New Water Capital, L.P.
New Water Capital, L.P. is a private equity firm focused on lower-middle market companies in transition, in the consumer, retail and industrial manufacturing and services sectors, with revenues of $30 million to $300 million. New Water Capital’s collaborative transaction and operating model is built specifically to support companies in transition, building on their unique cultures and strengths. For more information, please visit www.newwatercap.com. The car lighting industry in America is very much not what it was in the past. For a very long time, the North American approach to vehicle lighting was to treat it as a commodity. Headlamps of standard size, shape, and construction were required on all vehicles for over four decades. Even after that constraint was struck down in the early 1980s, car lights continued to be viewed as a commodity; most research and development focused on cost reduction rather than technical advancement, and North American makers tended to be followers, doing “me-too” work with the least costly fruits of European innovation. That meant American drivers didn’t enjoy the same level or pace of technical and technological improvement in their car lights, but it also meant European and Asian automakers viewed themselves, with fair justification, as being out of the league of the American vehicle lighting industry. That assessment is out of date; that’s not how it is any more. There are a great many American tier-1 suppliers putting in an enormous amount of skill, talent, passion, and work—and putting out a great variety of innovative, performant car lights. Not only lamps as good as any put out by the well-known European and Asian big-name tier-1s (though there’s plenty of that), but also best-in-class lamps befitting the highest-end automobiles from any maker in the world. And the American cultural talent for cost control hasn’t been discarded along the way. OEMs, no matter where in the world they might be, who don’t take a hard look at these less-famous American suppliers are seriously missing out. Two such suppliers are Flex-N-Gate and Myotek. Flex-N-Gate make every kind of light found on the outside of a car, with a full palette of technology and technique. They sell an enormous quantity of lights to FCA, Ford, GM, and Nissan (and they get awards for how well they do it); they’re in aggressive project cooperation with automakers outside the NAFTA region, they’ve got working LED ADB prototypes just waiting for American regulatory approval, and they’ve got astounding and affordable design innovations available on a right-now basis. Myotek is a remarkably agile company with a thoroughly (disruptively!) modern structure. They churn out rapid innovation in small lamps with an especial focus on uncommonly great LED fog lamps, and OEMs recognize their outstanding lamps and expert mastery of 21st-century supply chain logistics with awards for quality and ease of cooperation. The American sector of the vehicle lighting world is too big to fit in one report, so there will be more of them. For now, this forthcoming DVN report shines light on some less-known American lighting suppliers to give the world’s OEMs an opportunity to replace obsolete old assumptions with enticing new information. It focuses on Flex-N-Gate and Myotek, with ample presentation of other shining lights of the American industry. Facts, figures, and photos are presented, and there are interviews with the key engineers, designers, and executives who make the magic happen. Myotek has won a quality plaudit from Fiat Chrysler Automobiles. The LED vehicle lighting supplier, headquartered in California with manufacturing plants in Taiwan, Hong Kong and China, were praised by the automaker for outstanding quality performance in the 2014 calendar year. FCA’s criteria for the award include quality and warranty scores of 100% for all twelve months of the year. No quality problems requiring 3rd-party containment, vehicle sale holds or parts sourcing holds, and compliance with TS-16949 certification requirements. 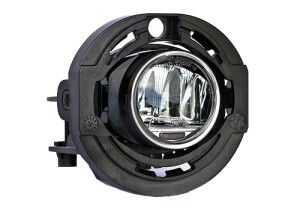 As previously reported in DVN (DrivingVisionNews.com) , Myotek supplied a 50mm LED front foglamp with global approval, high performance and low power consumption. The LED fog lamp is used on a variety of FCA vehicles including select models of Jeep, Dodge and Ram.